darlene chavez hasn't added a story. CASA Volunteers are ordinary citizens who are specially trained to advocate and be a voice in Court for a child during the duration of the court process. A number of brave Edgers will have the opportunity to rappel down the Thatcher Building, in exchange for donations back to the amazing local non-profit organization, CASA of Pueblo . Experience the once-in-a-lifetime opportunity to rappel down the Thatcher Building! Our mission is to advocate for abused and neglected children by providing a voice in the courts and in the community through trained volunteer advocates. To reach our satellite office serving Fremont, Custer, Chaffee and Park Counties, please click here. To reach our satellite office serving Bent, Crowley and Ortero Counties, please click here. Each year over 460,000 children in the United States are thrust into court through no fault of their own. Some are victims of violence, psychological torment or sexual abuse. Others have been neglected or even abandoned by their own parents. Most of them are frightened and confused. 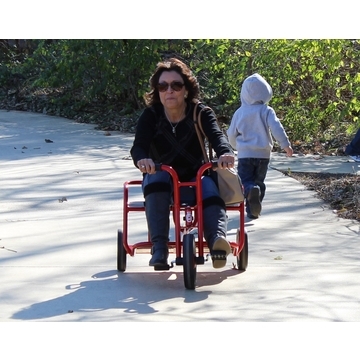 overburdened to give thorough, detailed attention to each child who comes before them. The consequences can be severe. All children deserve a safe, permanent home! the way to address many of society’s problems tomorrow. speak up for a child. throughout my foster care. I was in foster care from the age of 3 to 18. I always bounced around a lot. and making me realize that, ‘Hey, I am somebody." darlene chavez hasn't posted any updates yet. 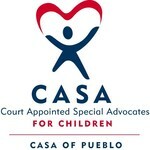 CASA of Pueblo is managing the funds for this campaign.